A lot of homeschoolers can attest to the times in life when you can’t homeschool. Sometimes life happens and school just… doesn’t. So, what do you do when school work has to take a back seat to other priorities? We’ve had a crazy couple of months. It wasn’t that long ago that we were evacuated for over two weeks due to Hurricane Florence. Now that our house is all back in order, we’re moving. So the chaos just continues. How do we fit school time in when life just doesn’t allow us to? We aren’t unschoolers by any means. We have curriculum that we love and follow a very eclectic approach that fits our family so well. But, over our years of homeschooling I’ve definitely learned that there are seasons where you just have to let go. Let go of expectations, of schedules, and of when the school year is “supposed” to end. This year I fully expect our school year to go from a traditional school year where we take summer break, to a school year where we go year round. It’s all about flexibility. But even then, we don’t want to just take weeks and weeks off without some sort of structure. Sure, packing needs to be done, but my kids definitely notice when we lack that structure. So, what’s a homeschool mom to do? Here’s a video of me discussing what we do when we can’t homeschool. Don’t like videos? No worries! Just keep reading. A lesson that has taken me years to learn is that homeschooling doesn’t have to look like school. My kids aren’t expected to sit still for any certain amount of time to work. They’re allowed to take plenty of breaks and we’re able to make sure we fit the fun stuff in first. So, it finally occurred to me that the flexibility that I allow in our lessons and in our daily tasks can flow right on over to how we set up our weeks and even our year, especially during times that we can’t homeschool with our normal routine. Oh, the burnout. Every single year I’ve had it. Every year, not long after our Christmas break, I just feel like we need yet another break. I’m stressed, the kids don’t want to do school work, and no one is happy. By making sure we slow down when we can’t do school. By not forcing lessons upon my kids when we know other things need to take priority. By making sure we’re taking the time to take breaks, do fun activities, and by making sure we all have that joy for learning back in our days. This year, I finally got it. This is what we’re doing to keep that burnout away and by keeping the joy in our homeschool. 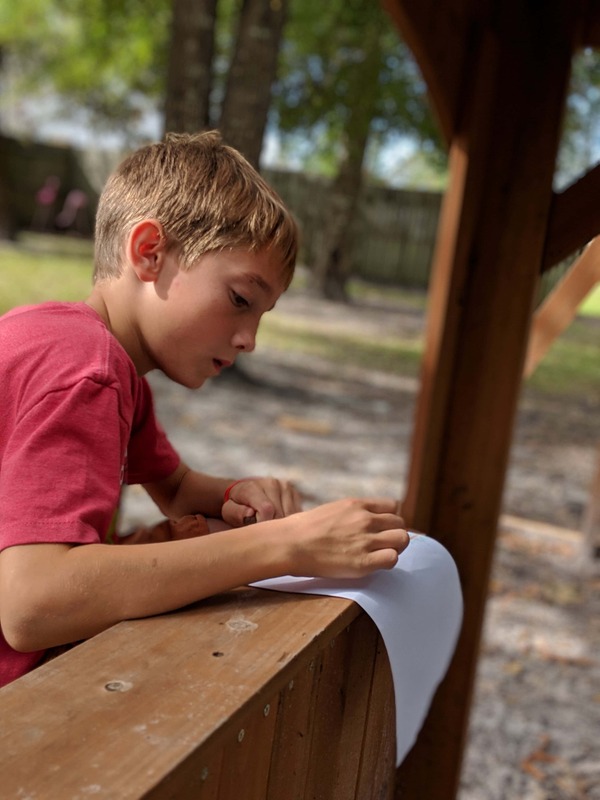 Even among the craziness of moving, I knew I wanted to keep certain things in our schedule so that my kids are able to feel the security of structure, while still having the fun of hands on lessons. We will still have some book work on slow days, but I really want to take this time to focus on having fun while taking care of the not-so-fun tasks of purging and packing. Three things I really want to focus on are art, nature, reading, and games. My kids love art. 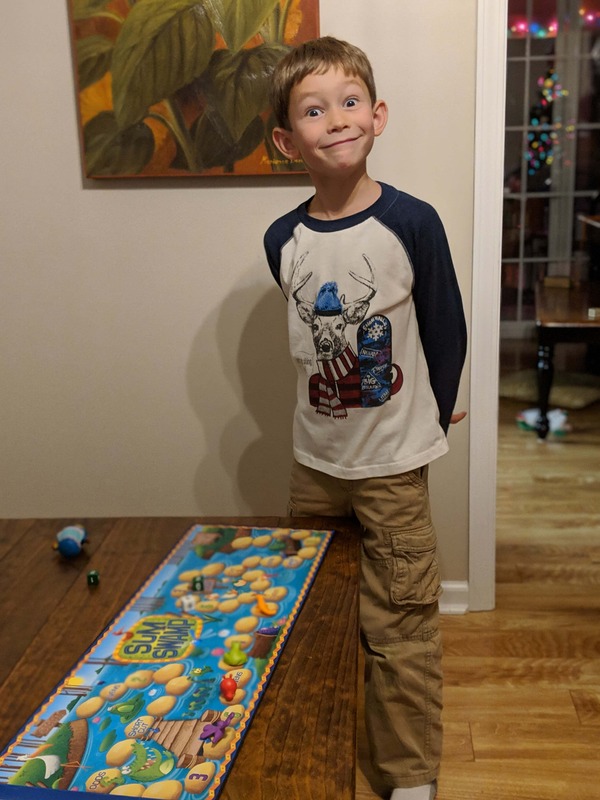 I recently did a review of Art History Kids and talk about how it has changed art in our homeschool. It really, truly has. I plan on continuing our lessons with Art History Kids, but also adding in a lot of handicrafts. 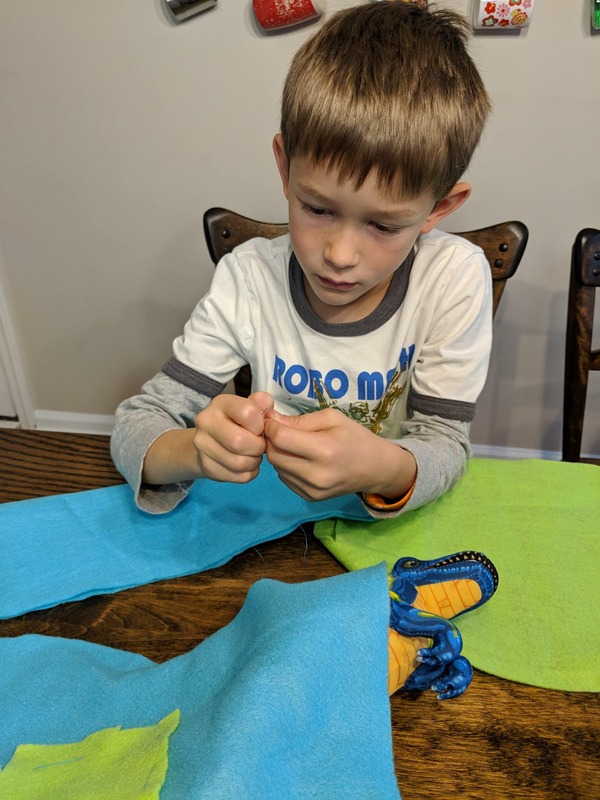 My boys love to sew (it’s not just for girls! ), so I plan to introduce embroider to them in the coming weeks. Giving kids the freedom to express themselves in art is so freeing in a lot of ways. Moving can bring up a lot of emotions for kids, so having a lot of free art time will be really great for them to open up. Plus, it’s fun. My kids don’t look at art as school work, but as a fun addition to our days, and I love that. It’s obvious to me why nature is fun for kids. The fresh air, the vitamin D. Being outside is so good for us and it gets us beyond our four walls. Being in nature is why I love our roadschooling lifestyle so much. Confession time: I don’t read to my kids enough. I don’t know when the read alouds stopped happening as frequently as we’d like, but I’m determined to pick it back up again. This crazy time in our lives may seem like a weird time to start back up, but I think it’s the perfect time. It will be a great reason to slow down and re-connect when we have so many other tasks that need our attention the rest of the day. 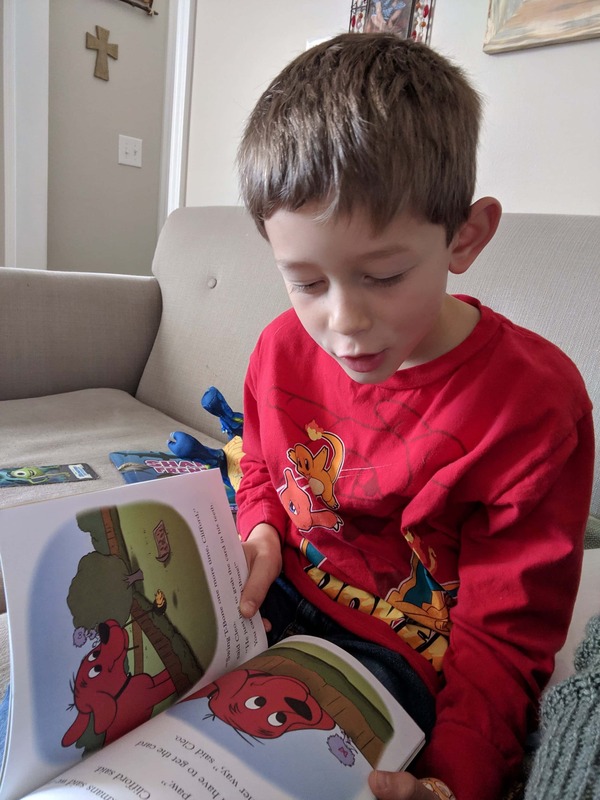 You may already do a lot of read alouds as a part of your day, so maybe you can change it up another way- by having your kids pick the topic or books, by skipping the school books for real books for a lessons, or by starting a new series of books you haven’t picked up before. Let the joy of reading together as a family spark some new excitement in your family! We are a total game family! Family game night is one of my favorite times. We haven’t been playing as many games since we have a toddler who likes to pretend she’s Wreck It Ralph right now, so making game playing a priority during this time is exactly what our family needs. Games can be so incredibly educational and give kids a way to practice all sorts of different concepts. It’s no wonder that gameschooling is now considered a method of homeschooling. Pick out a new game this week and have a blast together as a family. Right now, our homeschool doesn’t look anything remotely like school, and I’ve finally come to accept that that’s okay. My kids will go back to their math books. We will continue our phonics lessons. They will learn their states and capitals. But, for now, we’re going to be focusing on what our family needs most, and that is rest and joy during a hectic time in our lives. When you can’t homeschool, lots and lots of learning and wonderful moments can still be accomplished. Want more homeschool encouragement? Follow me on Pinterest where I share resources from all of my favorite finds!